Our Women’s Fellowship meets every Wednesday at 2.15p.m. in the Lounge (Coatsworth Road entrance), and all women are welcome. We begin our meeting with a short time of Devotions followed by a talk or slide show, etc. usually by a visiting speaker, always very interesting. 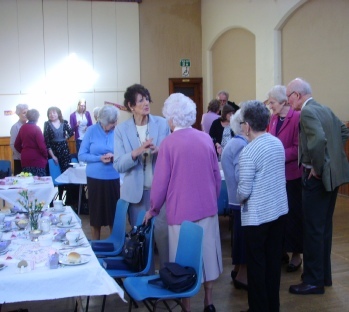 We bring the meeting to a close in the traditional way with a cup of tea, biscuits and an opportunity to have a chat and a laugh, thus ending an enjoyable afternoon of fellowship and friendship (1 - 11/2 hours). 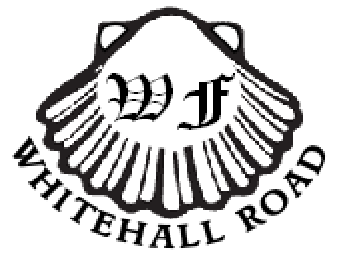 Our numbers are small, averaging twelve, room for many and more, you will be very welcome. 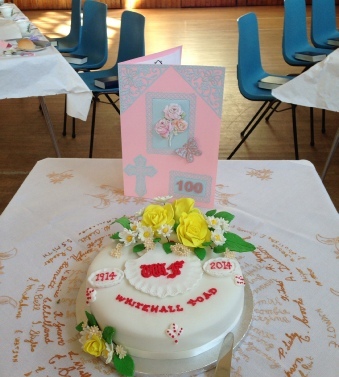 We celebrated our 100th birthday on Wednesday 12 March 2014, quite a record! 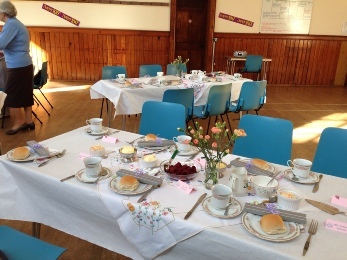 An anniversary meal was enjoyed by 31, as we invited friends of the Fellowship who are regular speakers and helpers. 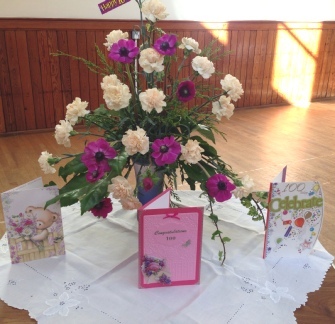 Our beautiful cake (iced by Andrew Forrest) and card, which was signed by all those attending the tea. 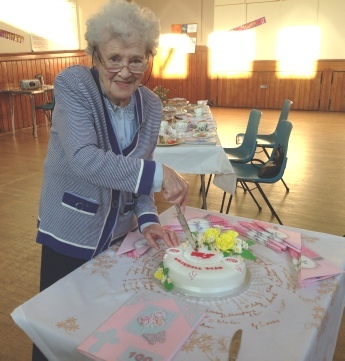 The cake was cut by Mrs Linda Walker, our longest serving member. and a gift, of a pen, for everyone attending. Catching up with friends prior to the meal being served. 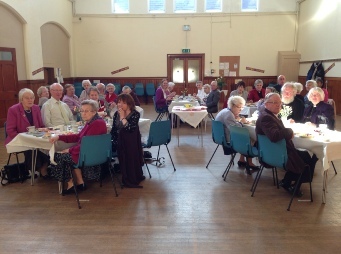 Our members and friends, seated ready to eat our tea, of home cooked ham salad. 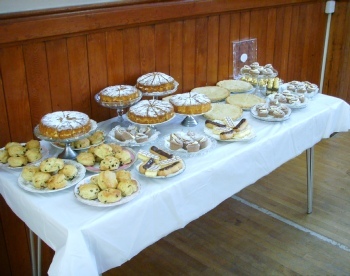 A table laden with home baked goodies, all set ready to follow the main course. The meal and fellowship was enjoyed by one and all.